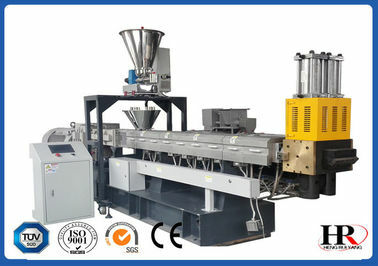 This series of pelletizing machine mainly used for PET chips and fibers recycling. 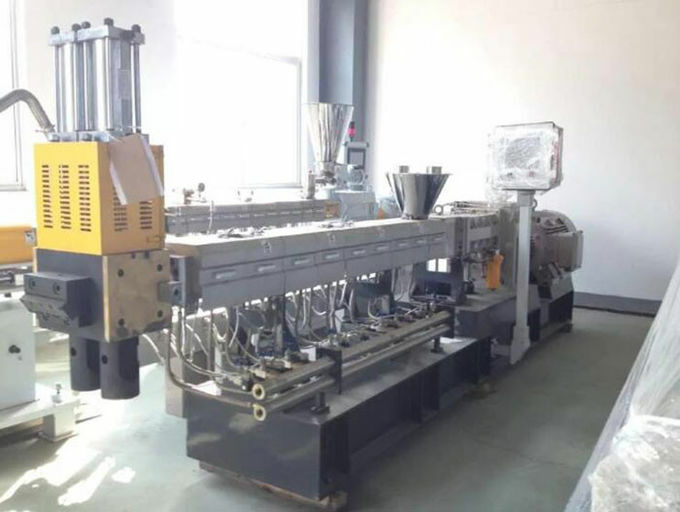 The screw using low temperature mixing elements, the surface of screw and barrel have been nitrided and hard chrome plated, vacuum venting is equipped in the main extruder, the outer cover use a temperature reservation to save energy. 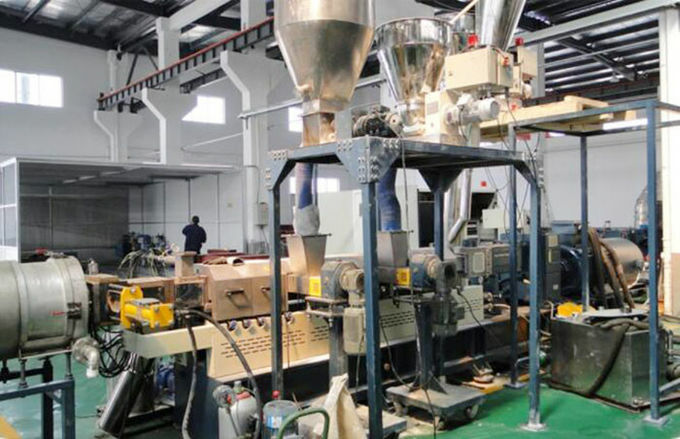 a coarse filtering measurement head is equipped too; pressure increasing pump. system and vertical sets of cylinder with dual filtering chamber; filtering system and pipe system use HTF overall circulation heating. 1. This series maximal output reaches a remarkable level of 1.5t/h. 2. Unique screw ensures the maximum exhaust efficiency. 3. Multichannel vacuum chambers avoid the predrying process,leading to 40% lessenergy consumption. 4. Working stably under the absolute vacuum of 100Pa. 5. The loss of viscosity is less than 0.03.1. This series maximal output reaches a remarkable level of 1.5t/h. 5. The loss of viscosity is less than 0.03. 6, Good quality with long life time. 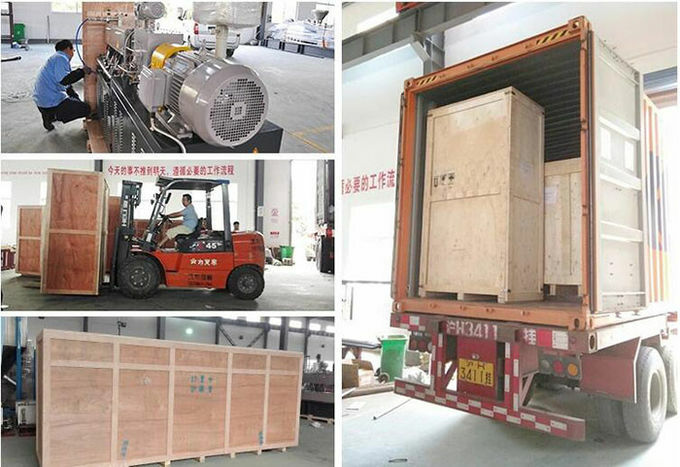 7, Water cooling tank is made by stainless steel. 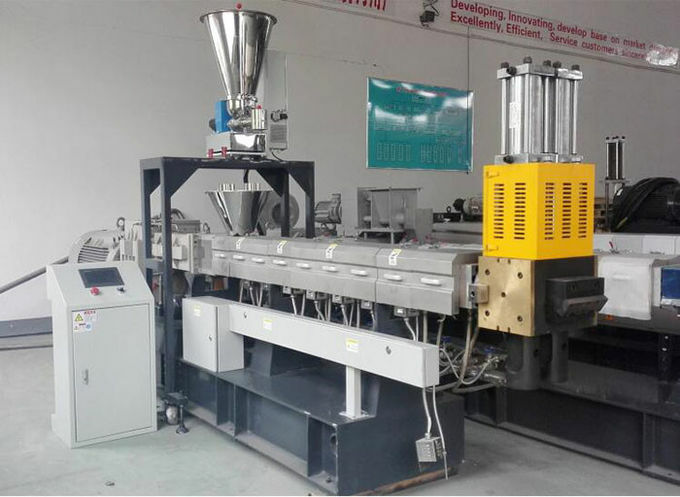 8, Granule cutting machine speed is adjustable by frequency inverter,cutting motor is 4/5.5/7.5KW,cutting stable and quick.